On 9 October 2016, Airbus Helicopters H145 I-MAKE was seen in its Eli Friulia Helicopter Center colours at Heliport Amsterdam, when on its way to Helitech International 2016 in the RAI in Amsterdam. This Airbus Helicopters H145 (MBB-BK117 D2) c/n 20091 flew first in June 2016 with Airbus Helicopters test-registration D-HCBZ. In August 2016, the H145 was registered I-MAKE in Italy with Eli Friulia Helicopter Center. The 2016-built helicopter is equipped with a hoist. 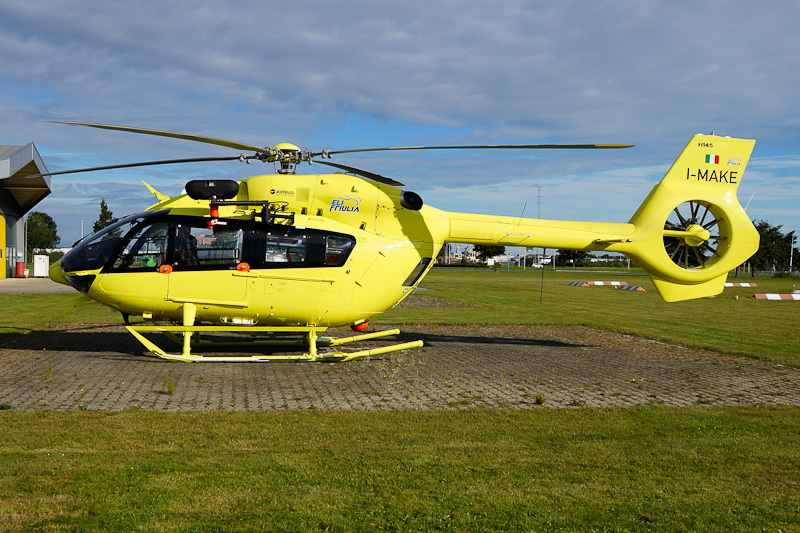 Since early 2018, Eli Friulia leases their H145 I-MAKE to Wiking Helikopter in Germany.